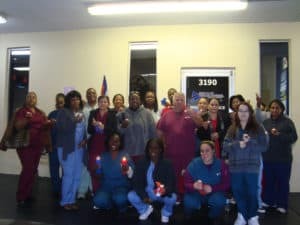 Lauderdale Lakes, FL – On January 12, 2011 the students, staff and faculty at American Institute School of Health Careers spent the day remembering those who lost their lives, homes, family members, and friends in the horrific earthquake that struck Haiti one year ago. 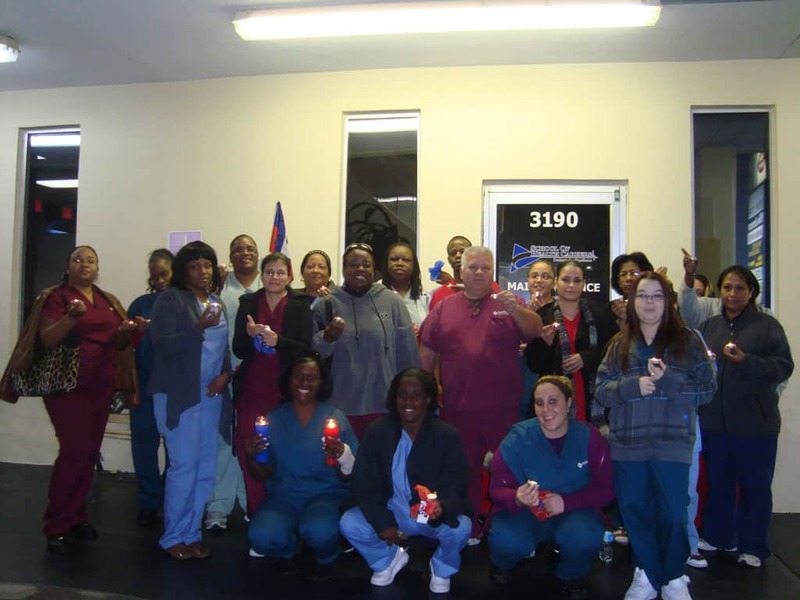 American Institute and the leadership group wrapped individual votive candles with the Haitian flag colors, red and blue, and attached to each candle a small note that included a message to honor all those who perished and who were affected by the January 12, 2010 event. The 2010 Haiti earthquake was a catastrophic, and affected an estimated three million people. The Haitian government reports that an estimated 230,000 people died, 300,000 were injured and 1,000,000 were rendered homeless.